Our Hearing Centre Lichfield is one of our three hearing centres based in Staffordshire. It offers superior hearing care. We offer a range of brands including Starkey, Resound, Widex, Oticon, Bernafon, Phonak, Siemans and Unitron. Nationwide hearing centres often only stock one or two brands, but by giving a wide selection of options we ensure that we can give you optimum choice on both technology and prices. Hearing aid technology is constantly improving and here at Dove Hearing we keep up to date with this, offering hearing aid types such as – Digital, Programmable, Behind the Ear, In the Ear, In the Canal and Completely in Canal hearing aids. 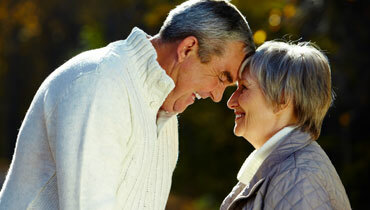 We also offer a 30 day money back guarantee if you’re not completely happy with your hearing aid. Service is our main priority in our Lichfield hearing centre, and we endeavour to make finding your hearing solution as stress free as possible. We offer free consultations, advice and hearing tests in all of our hearing centres, and follow this up with expert after care and maintenance services. We’re a family run business and understand the importance of that personal service when purchasing something as important as a hearing aid. In addition to the high level of service at our Lichfield Hearing Centre, we also pride ourselves on finding the best price for your hearing aids, often finding prices up to 50% less than national companies. We have over 35 years experience and have developed a large and happy customer base, to see some examples of past experiences with us take a look at our testimonials. If you would like any further information, then please get in touch, or come and see us in our Lichfield Hearing Centre. Our expert team are on hand to give you any advice or guidance you may need.